"Since Clarice and I began working together, I have expanded my scope of responsibility, become a more effective coach and leader to my team, and increased my sphere of influence in the organization....Her support, guidance, questions and insights have been enormously helpful to me." Clarice draws upon more than two decades of experience in financial services, media and psychology in her work with senior level executives. She coaches executives to deliver breakthrough business results by enhancing their interpersonal, podium and presentation skills. Clarice leverages a decade of work as a speechwriter, years as a professor of speech communication, and her considerable experience in media and public relations to improve individual and team communication skills. She knows that leaders must find their authentic voice and leadership style that work within the parameters of their organization. To do this, Clarice works with clients to assist them in maximizing their strengths and identifying ways to leverage them to reach their goals. Her coaching enables executives and their teams to gain clarity and alignment around their organization's mission and values so that they can implement a strategy that supports the overall company's goals and objectives. Clarice supports her coaching clients to find balance and live in integrity with their values - driving stellar results. As such, she works in tandem with clients to help them demonstrate mastery and to acquire the leadership style that energizes them and motivates others. 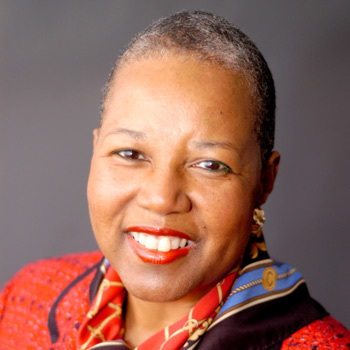 Clarice serves as adjunct faculty in the internationally renowned Georgetown University Leadership Coaching Program. She is certified as a Professional Coach through the International Coach Federation, and she earned her coaching certification through the New Ventures West Professional Coaching Course. She holds a Masters of Science degree in Clinical Psychology from Loyola College in Maryland, and a Masters of Arts degree in Communications from The Annenberg School of Communications, University of Pennsylvania. A Director of a major financial services corporation through two promotions to achieve appointment to Senior Vice President. A senior leader of a global research and marketing corporation to improve their networking and relationship skills building stronger relationships with deputies and a high-performing team. The President of a consulting research company through a successful acquisition. Supported him in transitioning appropriately from being the president of his own company to being a president within a larger corporation. Successfully transformed his corporate culture from a small stand-alone organization to a valuable unit within the larger corporate culture. Coached communications skills to build followership, so that retention remained high during the acquisition. A senior leader of an international professional services firm to acquire greater effectiveness with peers through improved communications and self-awareness.